Adel Hagekhalil is a registered civil engineer with the State of California and a national Board Certified Environmental Engineer. Adel is currently an Assistant Director with the City of Los Angeles’ Bureau of Sanitation where he is responsible for the Bureau’s wastewater collection system management, storm water and watershed protection program, water quality compliance, and facilities and advance planning. Under his direction, the City has prepared an award winning “One Water” Water Integrated Resources Plan (IRP) for the Year 2020 which relies on public input and participation and integrates water supply, water reuse, water conservation and stormwater management with wastewater facilities planning through a regional watershed approach. Adel is leading the City’s effort in green infrastructure and multi-benefit projects and embarking on the City 2040 One Water LA Plan. As the national chair of the sturdy group, Adel has recently led the successful development of water sector resiliency report for the President of the United States’ National Infrastructure Advisory Council. He served for 9 years as Board member and most recently President with the National Association of Clean Water Agencies (NACWA). 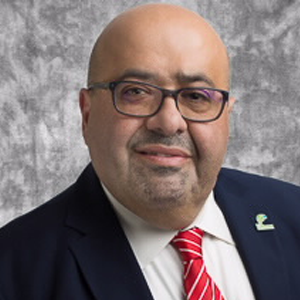 Adel is currently serving on NACWA’s co-Chair for the Arid States Water Reuse Group and member of the National Water Sector Coordinating Council.